ARIMIDEX: Men on HRT sometimes "crash" their estradiol by taking too much of an aromatase inhibitor such as anastrozole (Arimidex). It is usually a miserable few weeks (3-4) while your estradiol levels ramp back up and symptoms disappear. 1) Your estradiol is in the grey zone for most of your symptoms and it is not yet causing you difficulties. The danger in letting this go is that you could potentially be experiencing bone loss and end up with osteoporosis. Unfortunately, you don't always "feel" bone loss until you are at fairly advanced stages: we've had a couple of guys on the Peak Testosterone Forum with osteopenia who could attest to that fact. So Discuss with your doctor the potential risk here. Hopefully, you have a knowledgeable and proactive physician that will pull your estradiol for you and discuss results. 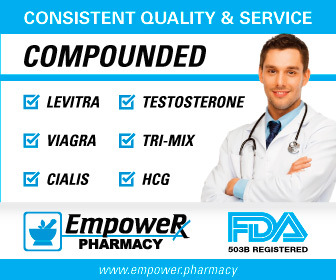 If he/she will not, due to costs or whatever other reason, you can pull estradiol yourself without a doctor's order through one of these inexpensive labs: Testosterone Labs.